Natasha joined Synergy Global in 2019 as Team Leader - Change Facilitation, after a successful People & Culture Leadership career in the corporate world. Over the last 21 years, Natasha has worked across multiple industries; Software & Technology, Telecommunications, Banking & Finance, Hospitality, Manufacturing & Construction, Member Associations & Natural Resources. She is passionate about building & delivering a vision involving an organisation’s key resource, its people. She builds deep relationships through her enquiring & empathetic approach. She prides herself on being ethical, authentic & values-driven, which was why she was approached to join our Synergy Global Team. 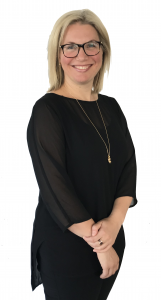 An innovative & commercial HR/OD leader, over the last decade Natasha has specialised in employee experience, change & transformation & leadership to enhance strategic delivery & capability. Her passion & recent focus area is in the innovation space with a key emphasis on embedding an innovation culture as companies continue to adapt to the ever-changing VUCA (volatility, uncertainty, complexity & ambiguity) world. Natasha lives in Melbourne & enjoys mentoring young female graduates, helping them to become successful in their corporate careers. This interest fits well with Synergy Global’s philanthropic Graduate Finishing School (GFS) – helping young people find their passion & career path, into meaning work & happy, well-balanced lives. She is also an active Rotary member/volunteer, in her local community & loves to travel the world exploring different cultures - walking, skiing, music & the Arts.